BREAKFAST...IT’S WHAT’S FOR DINNER. #BRINNER YES, YOU HEARD THAT CORRECT...WE ONLY SERVE BREAKFAST FOR DINNER. 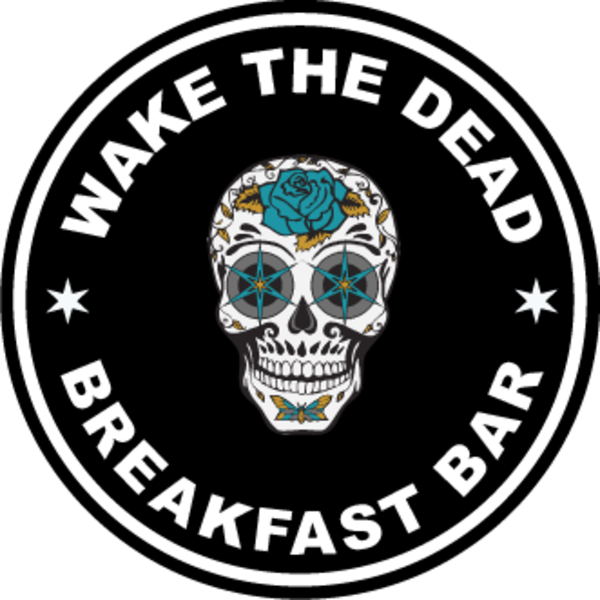 WAKE THE DEAD BREAKFAST BAR IS A COFFEE & DOUGHNUT SHOP BY DAY AND A LATE-NIGHT BAR & CAFE AT NIGHT. SERVING UP ONLY ELECTRIFIED BREAKFAST BEGINNING AT 4PM ALONG WITH CRAFT COCKTAILS AND CRAFT DOUGHNUTS. ? ON THE WEEKENDS WE "BRUNCH SO HARD" WITH ALL-DAY & NIGHT BRUNCH! FEATURING SIGNATURE WTD-BRKFST DISHES SUCH AS: THE DEATH STAR DOUGHNUT SANDWICH, FADED FRENCH TOAST AND THE SINFUL BRINNER-BRINNER-CHICKEN DINNER! SOAK IT ALL UP WITH ONE OF OUR SIGNATURE CRAFT COCKTAILS - MIMOSAS ON TAP, WTD NUMBSKULL COCKTAILS, BLOODY MARYS, BOOZY COFFEE, AND OUR DANGEROUSLY DELISH CEREAL MILK COCKTAILS! BREAKFAST...IT’S WHAT’S FOR DINNER!